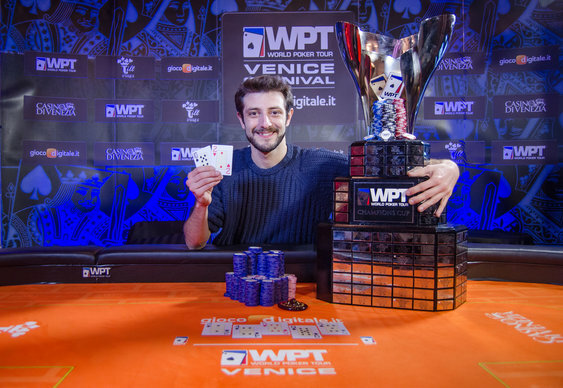 Sam Trickett narrowly missed out on another live title this weekend after losing heads-up in the WPT Venice Main Event. After battling through a mixture of locals and travelling pros, Sam was able to start the final session second in chips and certainly made the brightest start to the day by eliminating former champion Alessio Isaia in fifth place. Having bolstered his stack and taken out one of his biggest threats, Sam looked every bit the next title holder but by the time the field was down to two players it was all change. Despite having more experience than Andrea Dato, Sam was unable to catch a break and gradually relinquished his chips as the match wore on. Indeed, with a 3:1 lead slipping from his grasp, Sam eventually committed his stack with 8d 5s on an 8s 4h 3c flop. Dato made the quick call with Jd 8c and as the board ran out 7h 3s the bulk of the tournament's chips were sent the Italian's way. Just one hand later the match was over and by the time Dato had collected the final pot Sam had already exited stage left to collect his $91,683 consolation prize and drown his sorrows. With the tournament over a beaming Dato posed for pictures with his WPT trophy and stack of cash worth $145,859.